I often use a tray when decorating. 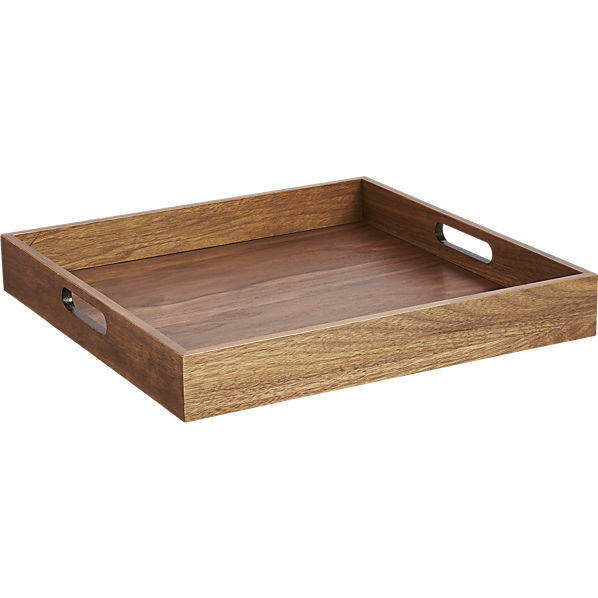 A tray can be great in a kitchen – because it's quite functional! I also always have one on my coffee table. It's a simple accessory to incorporate into any decor to create a layered look. The image above is the tray I currently have on my coffee table. It adds some texture and defines the area, instead of just having those items on the table. This year – I'm seeing all kinds of lacquered trays in bright colours – what a great way to add a pop of colour for spring! I also love the white with a rattan inlay and the square walnut tray below.